A large room in the dormers of the house. Located on the third floor and cheerfully done in mauve, yellow and green. 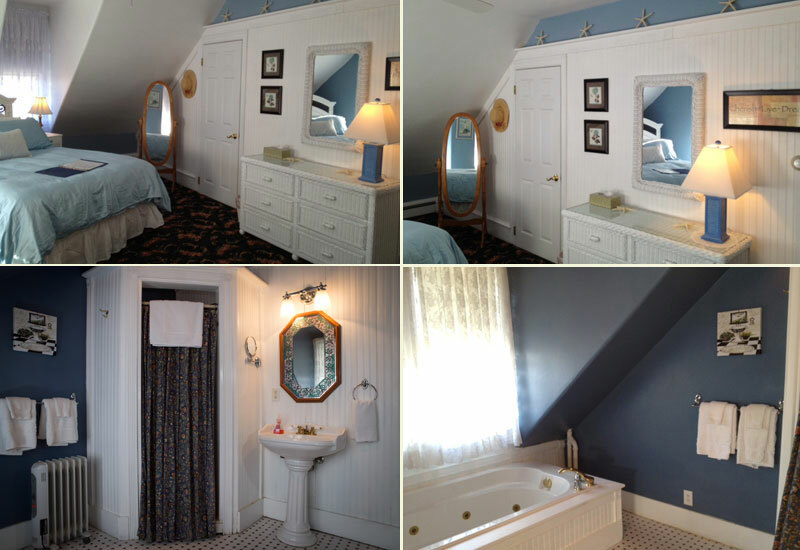 The newly renovated large suite in dormers of the house. Perfect for Romantic get-a-way or Honeymoon. This cozy dormer room is located on the third floor.